O’NEILL, EUGENE. [1924–1931] Twentieth- century American playwright who got his start at the Provincetown Playhouse. 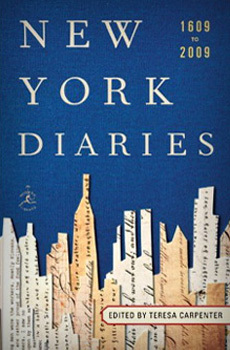 His spare entries on a line- a- day diary reflect public reception of his works. The Eugene O’Neill Papers, Yale Collection of American Literature, Beinecke Rare Book and Manuscript Library.